Though we find ourselves in the middle of winter, fresh flowers still provide that pop of color and joy just as they do in the warmer months. 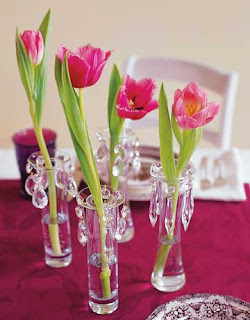 I love the simple beauty that bud vases provide. The best part? 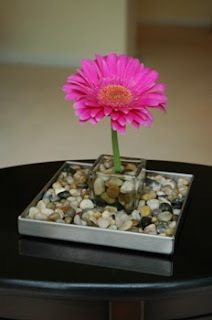 It only takes one or two beautiful flowers to make a gorgeous arrangement. 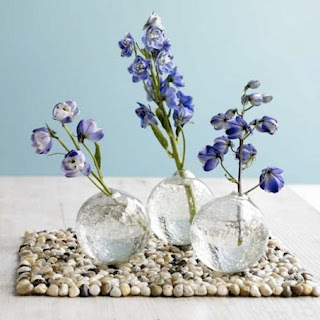 A fun tip- use what you have in your yard to fill the vases and you might be surprised how beautiful even artfully arranged leaves can be. This entry was posted on 3:54 PM You can follow any responses to this entry through the RSS 2.0 feed. You can leave a response, or trackback from your own site. Very cute idea! I absolutely love your blog. Always classy and brilliant. Oh how pretty! These are so fun to use around the house. Would also LOVE your support on the ELLE DECOR window I did for the Big Window Challenge this year with Apartment Therapy. Check it out at http://www.bigwindowchallenge com. As we all know, AT doesn’t make it easy, but you can vote TWICE a day, once online and the other by texting “1” to 89800. Wow - a lovely preview of spring. So appreciated ! Gloomy northern California days have gotten to me ! happy Sunday - sweet lady! These are gorgeous examples!! Such a great way to brighten the day. 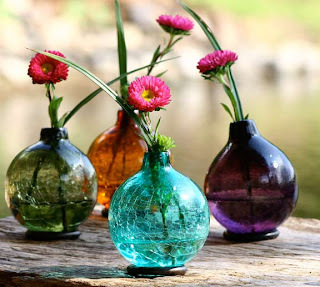 What a lovely idea to brighten up the winter months. 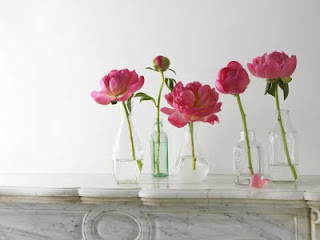 They are all so pretty, my favorite are the pretty and simply elegant glass vases at the bottom, I love them filled with the hot pink peonies.
! These are so fun to use around the house. love these photos. love your blog!